LAS VEGAS (July 11, 2015) – It was another record-breaking year at the World Series of Poker (WSOP) at the Rio All-Suite Hotel & Casino in Las Vegas, where the 46th annual event continued to show a strong global poker business with attendance up 25% to a new record in 2015. A whopping 103,512 entries participated this year, the first time the event has ever attracted over 100,000 entries – and shattering the previous record set last year when 82,360 attended poker’s biggest annual festival. This WSOP established a host of new records as poker enthusiasts from 111 different nations traveled to Las Vegas to compete in the game’s grandest spectacle, and a record 11,638 players received prize money this year – which was actually more than the number of entries the event had in any of its first 33 years. The WSOP remained the industry leader in terms of prize money awarded, with this year’s tally amounting to $210,379,285 – the third most in history – only behind the two WSOP’s that featured a $1,000,000 buy-in tournament. The Main Event in 2015 had 6,420 entries, creating the largest prize pool of the 2015 WSOP at $60,348,000. The winner will receive $7,680,021. For the eleventh consecutive year, the WSOP generated a total prize pool well in excess of $100 million, and for only the third time in its history, topped the $200 million mark. In the 46-year history of the WSOP, the game’s most prestigious tournament series has now awarded an incredible $2,278,264,214 in prize money. This year’s total prize pool dipped slightly from last year’s record-breaking $227,718,875 that included $37,333,338 for the second iteration of the Big One for One Drop million-dollar buy-in tournament. It was another successful year in terms of raising money for charity as well, as the two featured charity-linked tournaments, the Little One for ONE DROP and the High Roller for ONE DROP, which go to support the WSOP’s official charity partner the ONE DROP organization (www.onedrop.org), raised a combined $1,255,530. ONE DROP uses donations to directly implement water access projects, where an average of $100 can transform someone’s life forever. With the High Roller for ONE DROP (Event #58), the Little One for ONE DROP (Event #61) and the All In for ONE DROP campaign, where players can donate 1% of their winnings to the cause, the poker community via the World Series of Poker has donated more than $13,500,000 since the partnership began in 2012 – enough to directly impact the lives of over 135,000 people. Legions of amateur players competed alongside legendary poker pros, Hollywood A-listers and international sports figures to establish the new milestones. Among the notable non-poker playing names competing during this year’s WSOP Main Event included: French actor and singer Patrick Bruel, Movie director Nick Cassavetes (Notebook), actor and comedian Brad Garrett, Emmy-award winning Tonight Show with Jimmy Fallon writer J.R. Havlan, actor Aaron Paul (Breaking Bad), Curb Your Enthusiasm producer Gavin Polone, professional soccer player John Arne Riise, actor and comedian Ray Romano, NFL defensive star and Super Bowl champion Richard Seymour, actress Jennifer Tilly, cricket superstar Shane Warne, NASCAR driver Jason White, actor James Woods and three-time Olympic medalist Fatima Moreira de Melo from Netherlands. The youngest player in this year’s WSOP Main Event was Adrian Mateos, from Madrid, Spain who played Day 1C at age 21 years, 6 days. Mateos burst onto the scene in 2013 by winning the WSOP Europe Main Event when he was 19 (legal gaming age in France is 18). He cashed in this event too, finishing in 750th place. 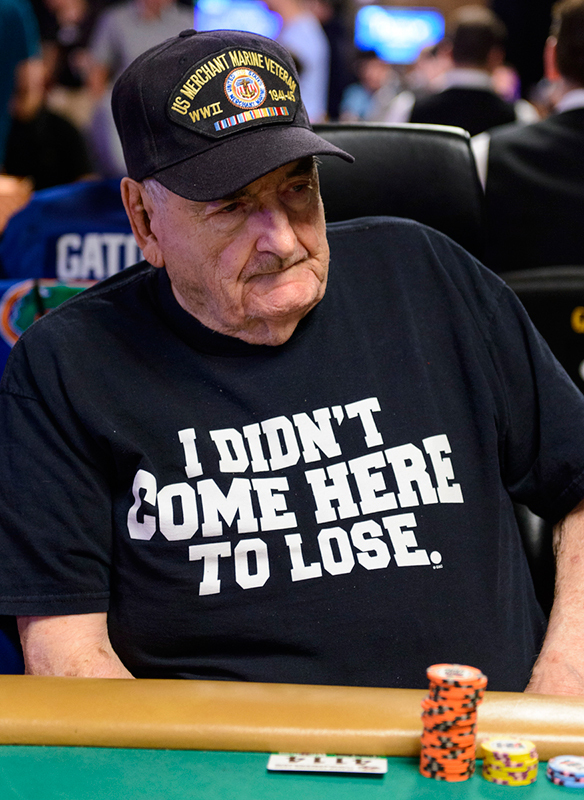 The oldest player to participate in this year’s Main Event was 94-year-old William Wachter of Mahopac, New York, who played Day 1-B and finished the day 39th overall with 105,825 chips. Wachter was also the oldest participant the past two years. Jack Ury, at the young age of 97, still holds the WSOP record as oldest participant. However, Wachter did cash, finishing in 524th place for $19,500 and becoming the oldest player ever to cash in the WSOP Main Event. The $10,000 No-Limit Hold’em World Championship – commonly referred to as the WSOP Main Event paid out a record 1,000 places this year, and officially reached that point in the tournament in Level 14 on Friday, July 10 around 9:45pm. · Most Bracelets (Individual): Phil Hellmuth extended his first place lead to four, by winning his 14th WSOP gold bracelet in Event #17, the $10,000 buy-in Seven Card Razz Championship. · Largest Live Poker Event in History: Event #5, the $565 No-Limit Hold’em “Colossus”, attracted 22,374 entries, a staggering 255% more than the previous record (8,773 in 2006). 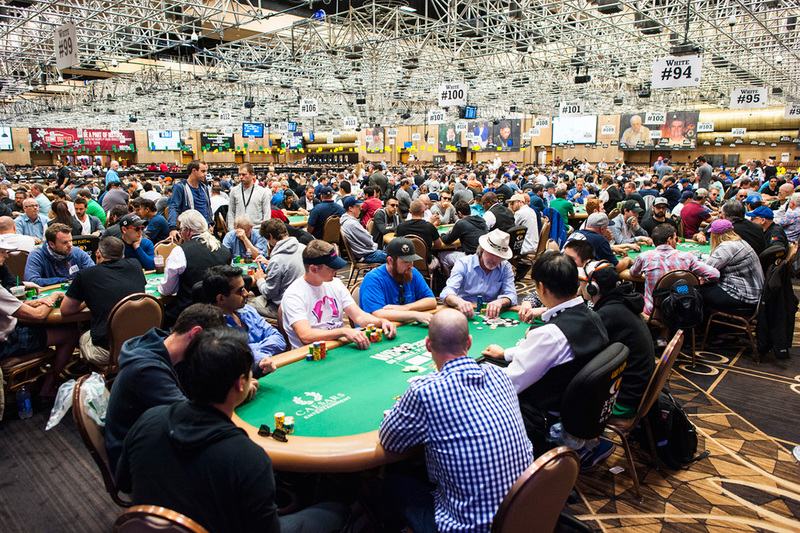 o Biggest single day attendance ever: 12,172 players in Event #5 on Friday, May 29, the Colossus, up 52% from last year’s Event #8, the Millionaire Maker. o Most players paid in one event: 2,241 places. · Largest non-Hold’em field size ever: Event #22, the $1,000 Pot-Limit Omaha tournament, attracted 1,293 entries, making it the largest field ever sat to play poker outside of a Hold’em event in live poker history. · Largest 2-7 Draw Triple Draw Event: 388 players entered Event #33 won by Benny Glaser of the United Kingdom. This $1500 2-7 Limit Triple Draw tournament was the largest ever field for 2-7 Draw Triple Draw. · Largest Razz Event: 462 players entered Event #9, the $1500 Seven Card Razz event won by Italy’s Max Pescatori, the largest field ever for a Razz event. · Most events with $1MM+ First Prize: Six distinct events (Event #16, Event #28, Event #44, Event #58, Event #60 & Event #68) paid the winner more than $1,000,000 in prize money, setting a new WSOP record and one more than last year. Two events (Event #58 and Event #68) made multiple millionaires from the prize pool (a dozen to be exact). · Largest Main Event Starting Flight: Day 1C of the Main Event drew a record 3,963 entrants, the most-ever to start on one day in Main Event history and more than the first 29 Main Event field sizes combined. · Most cashes at WSOP without a win: Tony Cousineau of Daytona Beach, Fla., extended his record as the player with the most cashes – 72 – without a win. He cashed four times in 2015. · All-time Cashes and Final Tables: 14-time WSOP bracelet winner Phil Hellmuth added to his record as the individual all-time leader in cashes (114) with his six cashes in 2015, including the WSOP Main Event. With his two final table appearances this year, Hellmuth has now final tabled an incredible 52 of the 114 events he has cashed in. Of 52 final table appearances Hellmuth has either won or come runner-up in 24 of them. Hellmuth also leads the category of most 4-9th place finishes, with 30. The World Series of Poker (WSOP) is the largest, richest and most prestigious gaming event in the world awarding millions of dollars in prize money and the prestigious gold bracelet, globally recognized as the sport’s top prize. Featuring a comprehensive slate of tournaments in every major poker variation, the WSOP is poker’s longest running tournament in the world, dating back to 1970. 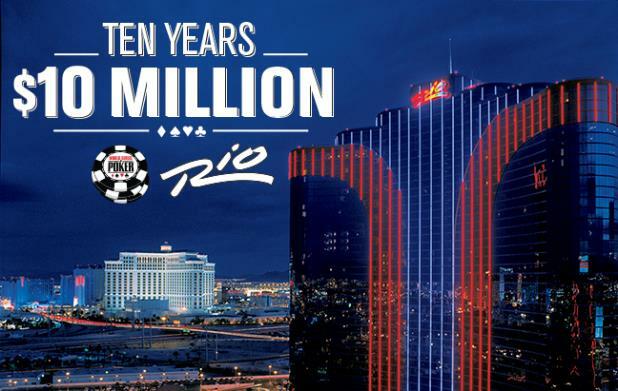 In 2015, the event attracted 103,512 entrants from 111 different countries to the Rio in Las Vegas and awarded over $210 million in prize money. In addition, the WSOP has formed groundbreaking alliances in broadcasting, digital media and corporate sponsorships, while successfully expanding the brand internationally with the advent in 2007 of the World Series of Poker Europe. For more information on the World Series of Poker, please visit www.WSOP.com.